But against all odds, the Sloppy Joe has made a comeback on modern menus across the country—sometimes in more recognizable forms than others. The filling: Stewed-up ground meat is the central feature here; from there on out, it's the chef's choice. Longman & Eagle, Chicago. 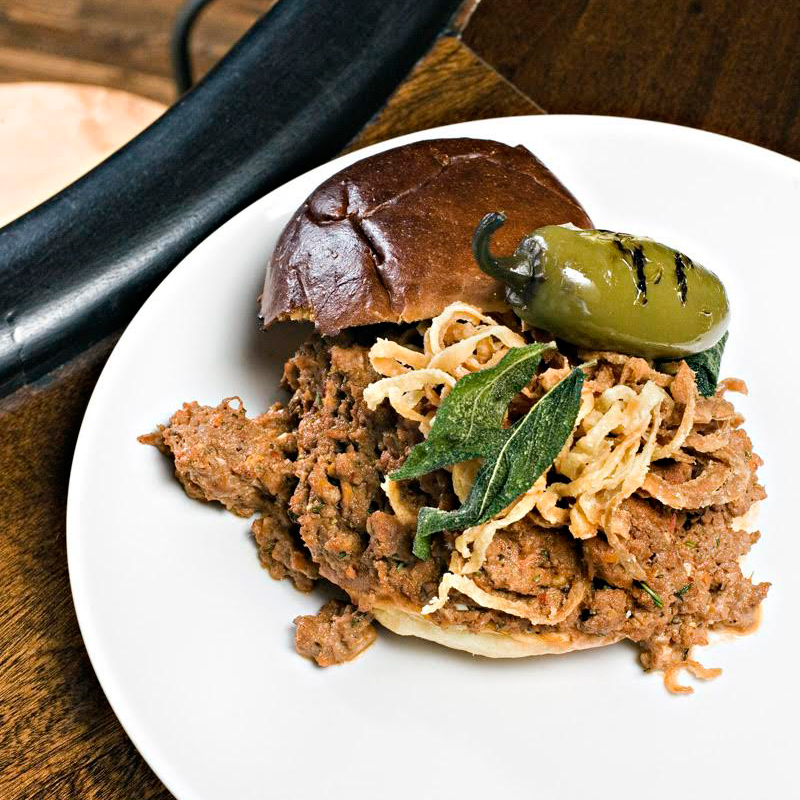 Beef need not be the only meat for a good Sloppy Joe, as evidenced by this wild boar version—topped with crispy sage, onion and pickled jalapeño, served on a housemade sesame bun with beef fat fries. Jack Allen's Kitchen, Austin. The "Sloppy Jack" starts with ground short rib and gets topped with dill pickles and a jalapeño mayonnaise—served with buttermilk-fried onion rings for good measure. Bazaar Meat by José Andrés, Las Vegas. Going a bit rogue, José Andrés's take on the Sloppy is served in a hot dog bun—with beef bolognese and fried straw potatoes layered in there. Perhaps unorthodox, but bun and ground beef qualify it as a proper Sloppy in our book.